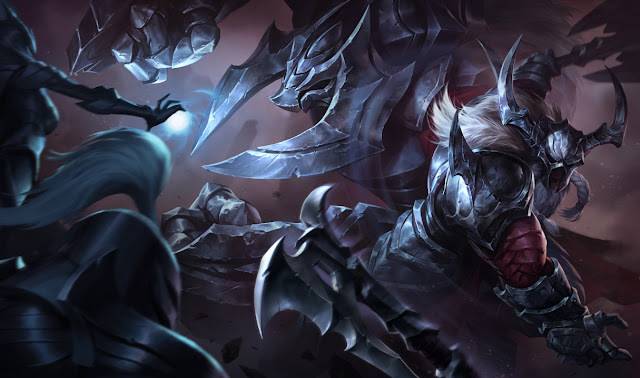 Patch 5.19 is on the way and the official patch notes have been posted! 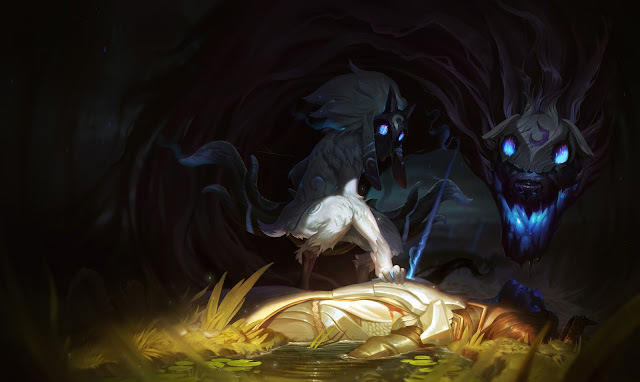 Continue reading for the complete notes, including our new champion Kindred, five new skins, new summoner icons, HUD changes, and more! Welcome to Patch 5.19, the one where we take a step back from all the big changes we’ve made to the game recently and buff Miss Fortune. So take a load off, relax and enjoy a light patch to catch your breath while we take head-count and make sure everything’s tidy before the new season comes around. For those of you that aren’t interested in Miss Fortune buffs (the heathens), we also have a slew of impactful bugfixing and a complete rework of the jungle leashing system. Now you’ll have an inkling of why the blue buff you invaded to steal decided to walk back as the enemy team descends to feast upon your failure, but hey, you knew the risks going in. That’s it for us! Check below for the specifics (as well as some sweet HUD updates and Worlds-related shenanigans), and we’ll see you on Rift. Laughing uncontrollably. Firing a stream of bullets into your team. 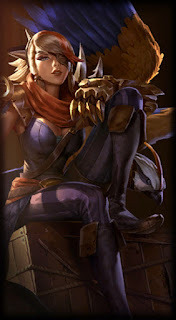 Miss Fortune. Spinning on Villains works as intended. 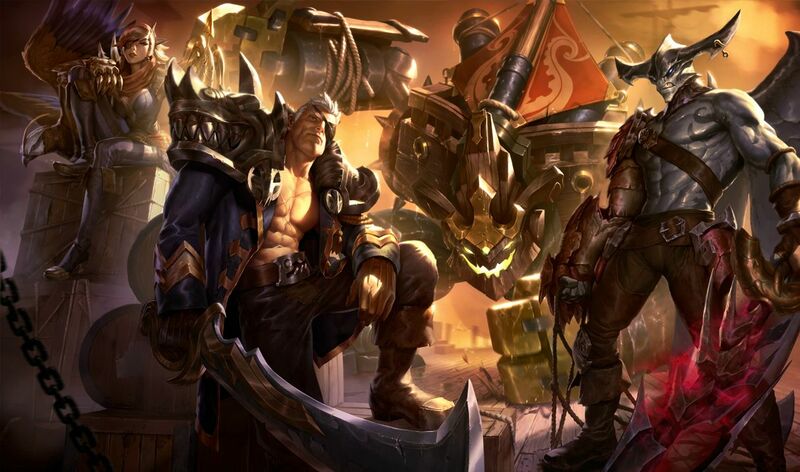 For someone who spends his time tracking down Villains, Garen was fighting pretty dirty when it came to slaying the guilty; now it’s our turn to bring him to justice (I still wouldn’t stand next to him, though). R has a scaling bonus AD ratio. Though the days of Miss Fortune’s dominance have long passed, she’s still a natural pick when looking to combo tons of bullets into an enemy team. We’re looking to push the relevance of Miss Fortune in the team-fighting compositions she’s already good in, rendering the recipients of a well-placed Bullet Time into nothin’ but powder monkeys. E reduces the damage of targets affected. 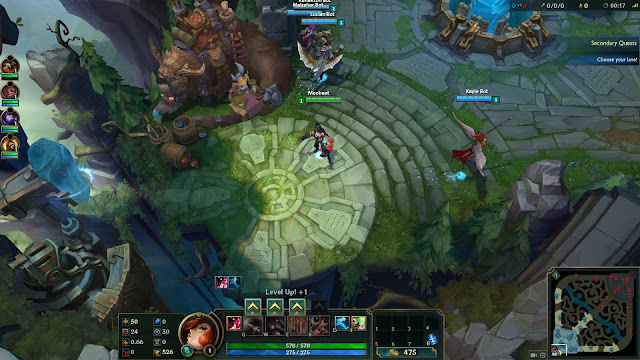 When tinkering around with some of Shen’s scripts, we realized that this functionality’s actually been gone from him for quite a while now, so we’re putting it back where we found it. Last patch, we fixed a bug where Elastic Slingshot would fail to shoot as far as it said it could by rewriting how the skill worked. In doing so, we noticed something was off in the snap-cast case, and added a 300 unit minimum to match the feeling. That said, how it worked originally(before any of these range-increase shenanigans) was that you could snapcast anywhere between 0 and 300 - so we’re just reverting back to that. Sated’s Phantom Hit takes longer to apply for ranged champions. Though popularly known as the go-to item for Xin Zhao’s and Shyvana’s looking to melt faces, Devourer (and its Sated evolution) systematically skew harder towards ranged champions like Vayne and Kayle when it comes to raw power, safety, and availability of on-hits. 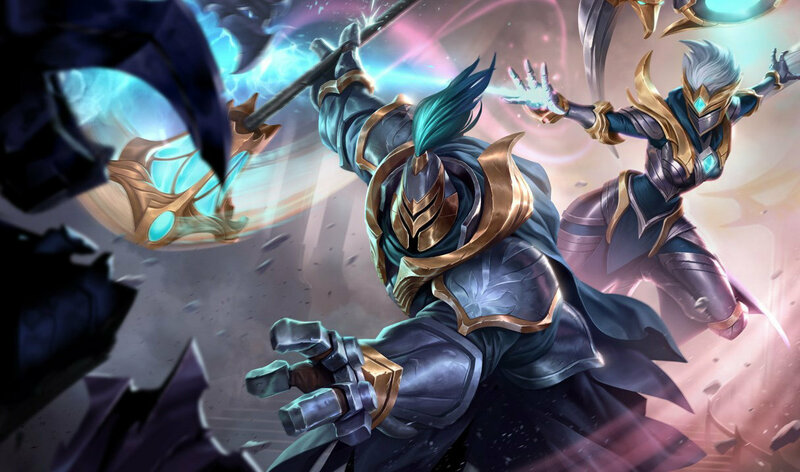 While ‘Ranged Sated Junglers’ might be an outlier at present, but we’re taking action towards actively balancing the item for ranged users while we evaluate how best to support them on an champion-specific level if necessary. Leashing makes sense. More sense. Over the seasons, leashing went from being a set of basic rules to having so many edge-cases it felt almost random when something would reset or wouldn’t, leaving you without a good sense for what caused it (and more importantly, how to avoid it in the future). 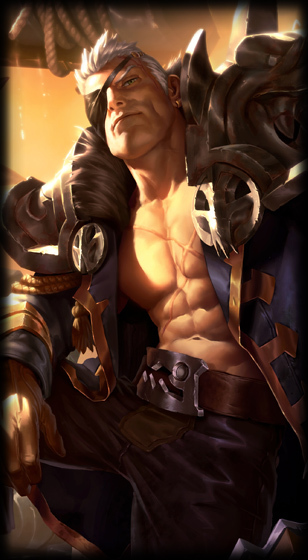 With that in mind, we built a new system - called Patience - to better support future jungling patterns and behaviors. NEWPATIENCEJungle monsters now have a ‘Patience’ characteristic. Monsters no longer reset their aggression based on distance or positioning - Instead, once the monster’s Patience is reduced to zero, the monster will reset and return to their original position. During this reset, they rapidly regenerate health and do not respond to further aggression. Gromp and Bigwolf have tinier arms. Thanks to the new leashing rules above, this makes taking Gromp over the wall impossible (he’d lose his patience! ), so we’re making him easier to kite and juggle without taking damage. Similarly, fixing a case that would let Bigwolf attack over a wall in some scenarios! Many moons ago, we began talking about making Rune Bundles in the service of helping players just getting started on their Tier 3 Rune Pages. Then, we realized we could make a bunch of really popular ones 50% off permanently, so we’re just doing that instead. Once the Worlds train starts rolling, we'll be activating a number of features in the client for easy access to information surrounding the World Championship as it unfolds. 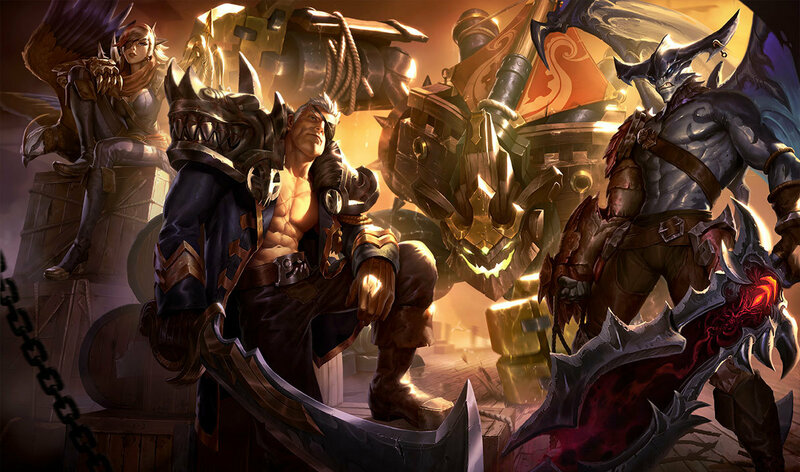 THE ESPORTS SECTIONAn in-client Worlds info hub has been added to the Landing Page (new tab!) for all flavors of stories and information, including match schedules and results. All match results will be hidden behind spoiler toggles. TICK TOCKThe Featured Matches spectator card on the Landing Page will be replaced with a countdown timer to the next Worlds match. It can be switched back to Featured Matches via a toggle in the upper righthand corner. YOU ARE CORDIALLY INVITED...Worlds match notifications (think game invites) will appear shortly before each match begins - click on them to open the Worlds broadcast in your browser. These can be disabled via "Suppress eSports Notification Popups" in the Options menu. Still bathing in your feedback. Still makin’ HUD updates. Colored ping bars can be pretty arbitrary to the average player, as there's no accepted 'standard' of what someone should do when they see yellow - or red - bars instead of green. We're making a simple change so there's more clarity around what a player's connection speed is to the game server so they can derive meaningful information from that. This is a long piece of context to say we want to show you real information, not colors. COLORBLINDThe colored ping bar (Red/Yellow/Green) has been removed, and now displays your actual ping instead. Resolved a cause of random disconnects in the client. If you disabled Windows IP Helper to mitigate the problem, you can now safely re-enable it! 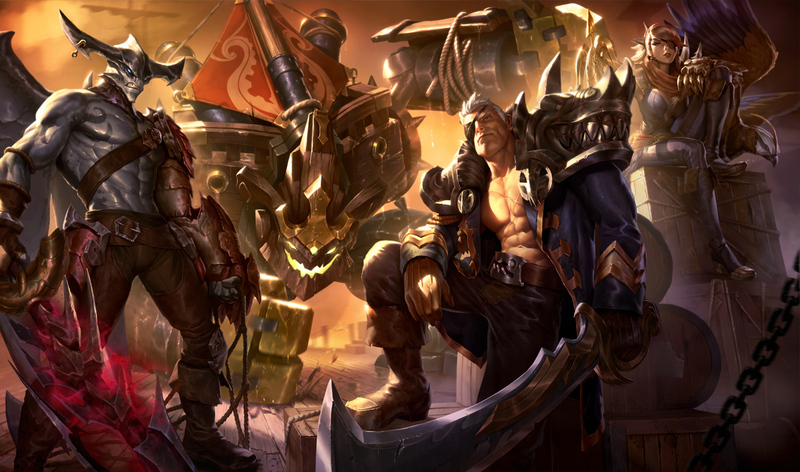 Sea Hunter Aatrox, Rogue Admiral Garen and Corsair Quinn have had their splashes updated to match! Here's a brief look at a few of the new things included in patch 5.19 including things mentioned above in the patch notes and things discovered during the last PBE cycle! Most of this coverage includes preview screen shots and video taken during the 5.19 PBE cycle and may vary from what is pushed to live. Our next champion KINDRED, THE ETERNAL HUNTERS, will be headed to live in 5.19! As usual, expect them to released sometime after the patch goes live but not immediately! Check out our 5.19 PBE coverage for an in-depth look at Kindred, including additional screen shots, abilities & ratios, voiceover, and much more! 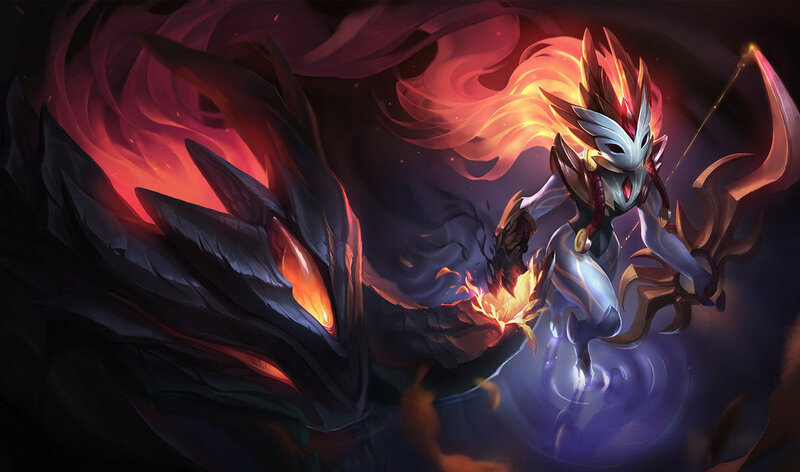 Kindred's release skin is Shadowfire Kindred! Patch 5.19 is set to include FIVE new champion skins - Ironside Malphite, Warden Karma, Warden Jax, Marauder Alistar, and Marauder Olaf! We'll have a full preview up once these new skin is released and available for purchase. We also have four new summoner icons included in 5.19! 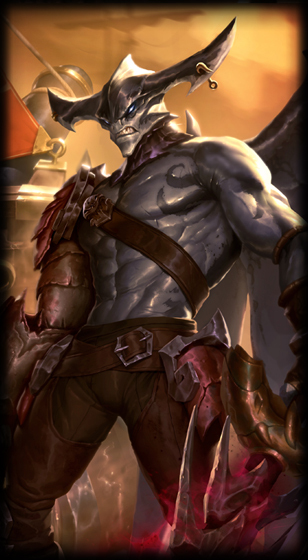 As mentioned above, there are a few HUD updates and changes included in 5.19! Mirror scoreboard layout option is back and new toggle option for names on scoreboard has been added! Here's a look at the scoreboard with both options toggled on! Next up we have the new "Show Team Frames on Left" option - as the name would imply, you can now shift your team frames from the bottom right above the mini map to along the left side of the screen. Last up, they've removed the colored bars from the latency bar. We also have two new login themes coming in 5.19, one for Kindred and one for the 2015 World Championship!